Beautiful is a good term to describe this lady. My future grand daughter - in - law. 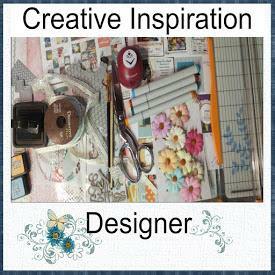 I created this layout for a sketch challenge at Stick it Down. I love how it turned out. Since it was so late when I did it, I was too tired to take individual photos of the steps I took to create it. I used Kaisercraft Papers, The flowers and lace is unknown. The ribbon is Floral Garden. Thanks for stopping by, please leave a comment to let me know you were here and I love to read them. Gorgeous layout Jackie! I love the colors and that background paper is stunning! This is just gorgeous and so is she. THe papers work so well together. Thanks for joining us at Stick it Down. Thanks for joining us at Stick it down.All of it works so well together. Gorgeous pictures, great layout! I love how you interpreted this sketch, absolutely fabulous job!! Thank you for joining us at SID. New sketch up tomorrow... hope to see you again!